For one of the largest automotive groups in the country, with 23 retail locations and over $1 billion in annual sales, it may be surprising that four of its marquee dealerships are found right here in Schaumburg, IL. The Zeigler Auto Group has long called Southwest Michigan its original home, but for years has served the greater Chicago and Schaumburg community with a wide range of impeccable vehicles and knowledgeable customer service, centering all right here on Golf Road. Starting with Zeigler Chrysler Dodge Jeep Ram, Zeigler Auto Group began in our area with the installation of four fantastic American brands, branching out into the greater Chicagoland area for the first time. Another exciting first soon followed. In 2010, the group announced that it would offer a General Motors lineup of vehicles for the first time in its history, establishing Zeigler Chevrolet of Schaumburg less than two miles up the road. When the FIAT brand announced its return to the United States in over 20 years, Zeigler Auto Group jumped at the opportunity to become among the first car sellers in the nation to bring the brands’ stylish and sporty models back into its showroom, instituting the brand new Zeigler FIAT of Schaumburg. 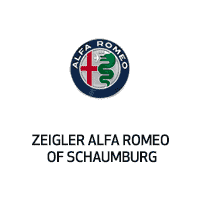 The prestigious and luxurious Alfa Romeo and Maserati brands soon followed in state-of-the-art facilities, bringing the Zeigler Auto Group up to current date, with four leading automotive dealerships located conveniently in the Schaumburg, IL community. Zeigler’s commitment to our community goes far beyond the pledge to offer positive customer experiences and top-of-the-line vehicles. The Zeigler Auto Group values of P.R.I.D.E. – Passion, Reputation, Integrity, Drive, and Execution – are exuded in all that we do, from the moment you walk through our doors, to our friendly follow-up process, to our expert automotive service and parts centers. Give the Zeigler Auto Group dealerships in Schaumburg, IL a try soon, and we’ll be happy to assist you with more information, and to take you on an exciting test drive today!